Ike Behar’s Slim Fit version of the tried-and-true two-button notch lapel tuxedo coat! The side vents allow for a more comfortable fit around the hips, and the Slim Fit style allows it to taper around the wearer’s waist and chest, accentuating his shape. 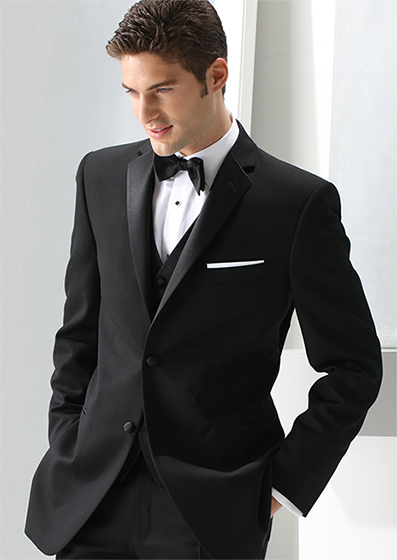 A very modern spin on a classic look, Ike Behar’s ‘Parker’ tuxedo is the very best of both worlds!